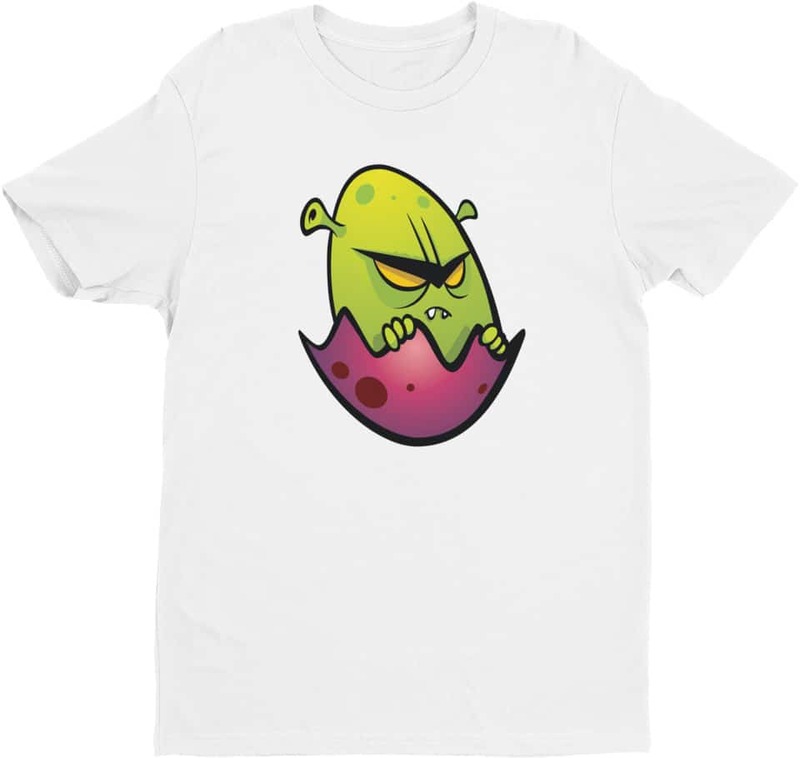 Tshirt displays a monster alien in an egg on this design by Squeaky Chimp. This premium fitted designer short sleeve tshirt by Squeaky Chimp will fit in every man`s wardrobe. This is a classic tee made of 100% combed ring-spun cotton.